Thyroid cancer is primarily treated with surgical removal of the thyroid gland. Learn more details about various treatment options from the Singapore General Hospital. may show up as a lump on the front of the neck just next to the windpipe. Dr Constance Teo, Consultant, Department of Otolaryngology (ENT), Singapore General Hospital (SGH), a member of the SingHealth group shares more on treatment for thyroid cancer. 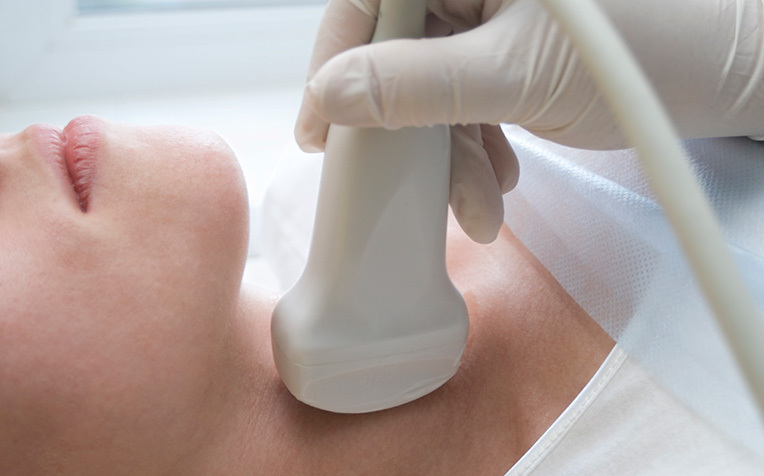 Treatment will depend on the type and stage of your thyroid cancer, and overall health. You may also require more than one type of treatment. Removing all or most of the thyroid (thyroidectomy): Doctors usually recommend removing the entire thyroid in order to treat thyroid cancer. This is done via an incision at the front of the neck. In suitable cases, the thyroid may be removed via an advanced robotic approach with the scar hidden behind the ear or the arm pit. Removing lymph nodes in the neck: During the removal of the thyroid, the surgeon may also remove enlarged lymph nodes to test for cancer cells. Removing a portion of the thyroid (thyroid lobectomy): If the thyroid cancer is very small, the surgeon may opt to remove only one side (lobe) of the thyroid. Radioactive iodine treatment is often used after surgery to eliminate any remaining cancerous thyroid cells and target secondary tumour sites (in the event the cancerous cells have spread). It comes in the form of a capsule or liquid to be consumed. The radioactive iodine is primarily taken up by the thyroid cells and cancer cells, reducing the risk of harming healthy cells. You will pass out most of the radioactive iodine in your urine within a few days. However, the treatment will continue to be effective between one to three months. Radiation therapy (radiotherapy) uses targeted rays to kill cancer cells. Administered a few minutes at a time, five days a week for about five weeks, this treatment serves as an option in cases where surgery cannot be performed or radioactive iodine treatment has been ineffective. It can also be used to slow the growth of cancer that has spread to the bones. Upon successful treatment, patients will need to take thyroid hormone medication for life. This is usually an oral medication that is taken once a day. This medication serves a dual purpose. It is required for replacement of the thyroxine produced by the thyroid gland and it also helps to significantly reduce the growth of cancer cells by suppressing the hormones that stimulate the thyroid gland. Thyroid cancer has been known to recur as long as 15 to 20 years after the primary tumour has been treated. Thus it is important to follow up with your doctor. Fortunately, such relapse is an uncommon situation. ​My Wife Has Breast Cancer: What Should I Do?